It's almost Friday! Bare with the day, you're at the finish line to the end of another week. Any plans for this weekend? Whether it be going out and drinking the night away, or doing the same but cozy in your favorite pajamas, snuggled up in your favorite blanket, and binge watching your show. Either way, if you get a little too wild and wake up with instant regrets then I got the hangover cure for you! Never fear, your Daily Cup of Lisa is here! I'm going to help you get through this! Me and you! Whether you are already hurting or know you will be then sit back, (try to) relax, and enjoy! WATER IS IMPORTANT! 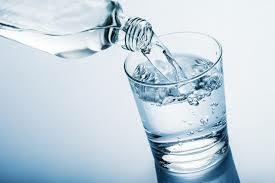 Always remember to drink loads of water if you know you are going to drink. It's going to keep more hydrated than you would've been the next day if you didn't drink water. Also try to remember (if you aren't already wild) to drink water before you go to bed. There have been so many times where I regret not drinking more water. Keep a glass of water next to you while you sleep. I had just recently bought a Yeti tumbler and it's my bestfriend. It keeps my water super cold throughout the night and is the same cold temperature when I wake up. It's amazing and I highly recommend everyone invests in one. I'm sure most of us know that greasy food is typically what is told to eat when hungover. I agree, don't get me wrong. I've had my share of greasy food and it did help... BUT I felt so digusting after, bloated, and even more lethargic. It wasn't until one hungover day where I felt like I needed to try something else. 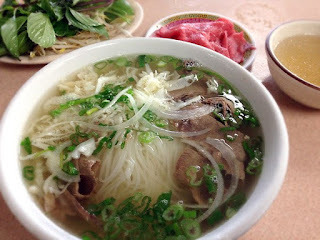 That moment led me to hitting the road and picking up some pho. There is this small pho place by my boyfriends house that we drove down to that day. I can't seem to remember what I ordered but most pho places have a menu with pictures, if not that, then a description of what is inside. If you don't want to any meat in your pho you can always get it plain or my favorite, shrimp. Taking that first sip of the broth created instant explosion of a welcoming flavor and a instant relief. The noodles are thin and you can always add to your flavor by incorporating the conidments they bring on the side and already have on the table for you. You get full, but not disgustingly full. If you can't finish your pho you can always take it to go! However, when you decide to heat it up again, skip the microwave and heat on the stove instead. No need to say much about this. Your gonna be laying down for a majority of the day if you plan on doing nothing. Turn on your favorite tv show or movie or browse for a new one. Netflix and chill right? I actually wrote a couple of good shows and movies on my other post about my ultimate cozy night in. 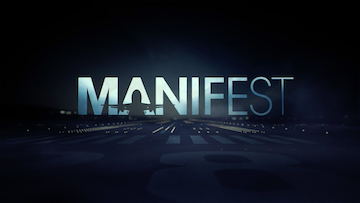 At the moment as I type, I am watching the show Manifest. So far is it SO GOOD! It's on NBC and as of now they are on episode three so it's very new. This you need to do first thing. As much as you don't want to get up, do this as soon as you do! You'll feel 10x better, I promise. Maybe even take a bath and throw in a bath bomb? You wanna feel as clean as you can after a heavy night of drinking. Take this day to really care for yourself and detox. If you can get past the thought that you don't want to see alcohol for the next week, then this will make you feel better. Believe it or not, this works. At least from my own personal experience, depending on how bad I feel, sometimes I'll have a beer the next day and the hangover seems to be less painful. Just one though, the point isn't to get drunk and feel 100x worse. After you take your painkillers and are watching you favorite show all cozied up, feel free to close your eyes at any moment and sleep it off. You want to get all the rest you can. Recharge yourself! All you can really do is wait until the hangover goes away on its own after adding in your remedies. Why not just sleep it off and cruise through the ride? Thank you for reading this post if you are here! It means the world that you actually stuck with me through this post. 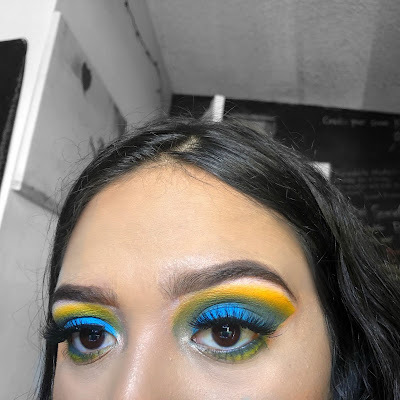 I have other cool posts as well and am planning to upload some cool content! If you have any requests for anything just let me know. If you have any other remedies for a hangover cure, I would love to know! Until then, thank you again for reading and I'll catch you in the next post! I do have a facebook fan page as well if you want to go ahead and keep updated with new content. I will be linking that on my home page.